Scott has lived in the sea-to-sky corridor for over 25 years, and feels privileged to be raising his two young children in the beautiful community of Squamish.  His love for the great outdoors and community combined with his previous business and negotiation skills has shaped his knowledge and expertise of the real estate market. Scott has served as president of Downtown Squamish BIA and Chairman of Tourism Squamish. He is an experienced businessman who has owned and operated multiple successful businesses in downtown Squamish. Scott has a vast background in digital spanning twenty years, starting with number one rankings for a variety of Whistler based keywords and then co-founding Rezserve Technologies and Enjoy Vacations Network in the early 2000’s. Where to find Scott: With his wife and two boys or enjoying a glass of wine and dining with friends. Alex has a passion for the outdoors and is thrilled to call the Sea-to-Sky region home. First falling in love with the Coastal mountains in the winter season he quickly realized the wonders all year round and has called the area home for over ten years. He enjoys the hiking and biking trails, rivers, and backcountry accessibility but feels it is the people of Squamish that sets it apart. The people make the town… entrepreneurs, young families and environmentally conscious folks form a great community. Enjoy the independent shops, businesses, restaurants, breweries, and SORCA bike nights. Alex graduated from McMaster University in Hamilton Ontario with a Bachelor of Commerce Honours Program with a Major in Finance and Entrepreneurship and Minor in Economics. Alex went on to work in sales at Arcelor Mittal / Dofasco, one of the largest producers of Automotive Steel in North America. However, after a trip to the West Coast Alex knew the mountains were calling and began working for Whistler Blackcomb in Marketing. He continued with sales and service working as a Sales Executive for Canucks Sports and Entertainment for over two years. Where to find Alex: Enjoying a powder day or biking the backcountry trails around Squamish and Whistler or sailing with his family, and new puppy.